When I was growing in the 1970’s, air conditioning wasn’t as available then as it is now. At least, not for us. It was a luxury, and my parents didn’t have extra money to buy refrigerated air. So, my mom did what any other parent at that time would do to stop the kids from complaining about how dreadfully hot it was, and naturally cool them down. She went to the store and bought the biggest watermelon she could find. 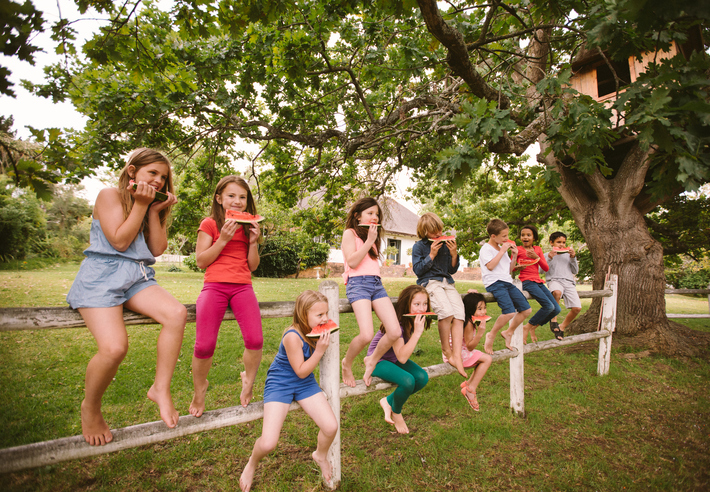 And, then she invited the neighborhood kids over and got us all engaged in a watermelon-eating contest. And, the best part… it was all for less than five bucks! Moms are ingenious at finding simple solutions for sticky problems. Today, I still follow what my mom taught me many summers ago. When the weather gets hot and sticky, my main go-to cooling food is watermelon; sweet, watery, cooling, refreshing and absolutely delicious. Even though I haven’t engaged in a watermelon-eating contest in many years, I’ve found lots of easy ways to include this cooling summer fruit into my summer menus. What are some of your favorite foods (and memories) to beat the summer heat?